There is no Nobel Prize for Mathematics, which is ridiculous. But there is a Nobel Prize for Economics, which is risible. Mathematics is to economics rather as astronomy is to astrology. True, economics isn’t a pseudo-science, but it still offers plenty of room to charlatans and phonies. 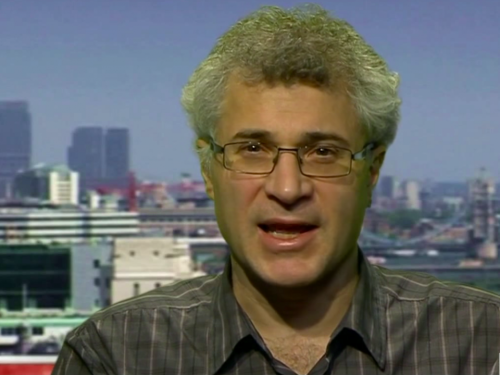 Exhibit A: the “charmless, pompous and mediocre” Jonathan Portes, a Jewish economist who dedicates his life to telling British Whites that only mass immigration can save their nation from economic collapse. 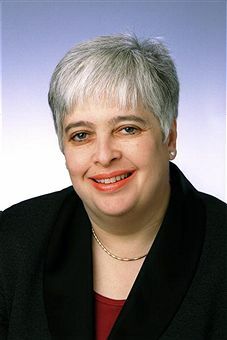 The most incredible revelations [about New Labour’s conspiracy] concern Barbara Roche, a little-known MP who was immigration minister between 1999 and 2001. During this period, she quietly adopted policies – with Mr Blair’s approval – that changed the face of the UK. … Like [Jack] Straw, Blair was careful never publicly to mention the rising number of immigrants from India and Pakistan who could now enter Britain. Nor did he consider how to provide housing, schools and healthcare for an additional 300,000 people arriving a year. Could this chicanery get any worse? It did — with the appointment of Barbara Roche as Junior Immigration Minister. Blair’s only instruction to her was to deport bogus asylum seekers. But Roche wasn’t playing. In her first conversation with a senior immigration official, she was candid: ‘I think asylum seekers should be allowed to stay. Removal takes too long, and it’s emotional.’ Even the word ‘bogus,’ she maintained, created a negative feeling. Barbara Roche is obviously hostile to Britain’s White majority, so it’s interesting to ask how she got the post of immigration minister. Will Israel ever appoint an anti-Semitic goy to control their immigration policies? No, that’s impossible. Israel is a Jewish state and determined to remain so. But it’s evil and hateful for a White Christian nation like Britain to retain its ethnic and religious identity. Ten years later, the Black journalist Hugh Muir interviewed her again in the Guardian. Unlike Portes, Muir was prepared to consider the possibility of a New Labour conspiracy to open the borders. But how to test that possibility? Simple: you just ask Barbara Roche, who must have “been up to her neck in it,” if there actually was one. It’s well-known that conspirators always admit the conspiracy if you ask them. Well, Hugh asked Barbara and she shook her head emphatically: definitely not, “there wasn’t” a conspiracy. Why does Barbara Roche “love” an atomized society? Why does she feel “comfortable” there? I’d suggest that it’s because she doesn’t stand out as a minority and so doesn’t feel paranoid. In the stale pale Britain of the past, there were periodic outbreaks of inexplicable and irrational anti-Semitism, from the expulsion of Jews by Edward I in 1290 to the “pogrom” that swept the Welsh valleys in 1911. Britain is supposed to be a democracy, or a nation under majority control. It isn’t: like the United States, it’s an oligarchy, or a nation under minority control. The minority in question is Jewish. There has never been a democratic mandate for mass immigration, but the wishes of the White majority didn’t matter. Instead, the oligarchic mandate of Jews like Jonathan Portes and Barbara Roche opened Britain’s borders to terrorists, rapists and fraudsters from the Third World, and will eventually make Britain’s native peoples into a minority in a land they have settled since the Ice Ages. Britain has been been turned into a Roche motel because Jews feel more comfortable in an atomized society. It’s as simple as that. After all, if mass immigration goes wrong for Jews, Jonathan and Barbara can always seek refuge in Israel, which keeps its borders firmly closed to Third-World enrichment and doesn’t let hostile outsiders take control of its politics, media and universities. But the prospect of their departure raises a disturbing question. Would Britain survive the loss of its most altruistic ethnic minority? Well, we didn’t do too badly after Edward I expelled Jews en masse in 1290. I suspect we could manage again if the worst happens and Barbara has to pack her bags for Tel Aviv.